The procedural process for a divorce is not any different for a person in the military than for anyone else. The Uniformed Services Former Spouses’ Protection Act (USFSPA), Title 10, U. S. Code, Section 1408, requires the military to accept state statutes regarding issues of child support, spousal support and military retirement or pension pay. There is no Federal law that automatically entitles a former spouse to a portion of a member’s military retired pay. A former spouse must have been awarded a portion of a member’s military retired pay in a State court order. USFSPA, passed in 1981, accomplished two things. First, it authorized (but does not require) state courts to divide military retired pay as a marital asset or as community property in a divorce proceeding. Second, it provided a mechanism for a former spouse to enforce retired pay as a property award by direct payments from the member’s retired pay. Under California law, the retirement benefits earned during the marriage are community property. In order for the military to provide the mechanism for a former spouse to enforce retired pay as a property award by direct payments to an ex-spouse, the parties must have been married 10 years, overlapping with 10 years of service. Not qualifying for a direct payment from Defense Finance and Accounting Services (DFAS) does not mean that a spouse of a servicemember is ineligible to a portion of a retirement pension payment. In order to receive his or her portion, the method of division and payment needs to be included in the divorce judgment. Any award of military retired pay, divided as a community asset, would be in addition to any child support or spousal support (alimony). The maximum amount of pension income an ex-spouse can receive is 50% of the military retirement pay. If child support is being taken from the pension, the maximum combined amount that can be deducted is 65% of the disposable retirement pay. However, if a retired servicemember has received an order for more than 65% of his or her pay, the retired servicemember will still owe that amount, even if it cannot be deducted from his or her pay. Net Present Value: This is more common if someone wants and can buyout the other party’s interest up front. Deferred Distribution: A share amount is calculated at divorce, but the receipt of the funds is deferred until the service member retires. Reserve Jurisdiction: The share the ex-spouse receives is calculated at retirement. If you or your spouse is in the military, it may take longer to get your divorce because of the protections afforded by the Servicemembers Civil Relief Act. 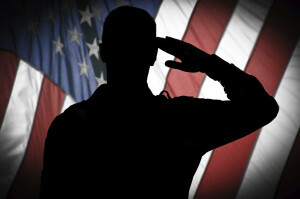 Under the Servicemembers Civil Relief Act, military members are protected from lawsuits including divorce proceedings so they can “devote their entire energy to the defense needs of the Nation.” A court can delay legal proceedings for the time that the servicemember is on active duty and for up to 60 days following active duty. If a default judgment is entered against a servicemember respondent without his appearance while he or she was in military service, or within 60 days after termination of a respondent’s military service, if the servicemember requests, the court must set aside the judgment in certain circumstances. If it appears that the military service “materially affected” the respondent’s ability to defend the action and the respondent has a meritorious or legal defense to the action, the judgment will be set aside to allow the respondent to defend the action. The request with the court to set aside the default judgment must be filed no later than 90 days after the respondent’s military service terminated. Military spouses receive some protections in custody and visitation matters. For example, a custody or visitation modification cannot be based solely on a party’s absence or relocation due to military service activation and deployment out of state. Further, if a party with sole or joint physical custody or visitation receives temporary duty or deployment orders that require the party to move, any modification of an existing custody order must be deemed a temporary order, to be reviewed and reconsidered upon the return of the party from deployment. Once the party returns from deployment, the custody order should revert to the order that was in place before the modification unless the court determines this is not in the children’s best interests. Divorce can be a confusing, complicated and stressful time for military couples. If you are facing a divorce and are in the military or are the spouse of a service member, it is important for you to choose an attorney able to competently handle your case. At the Law Office of Barbara J. May, we are experienced military divorce attorneys who work with you to work toward a positive outcome of your case. 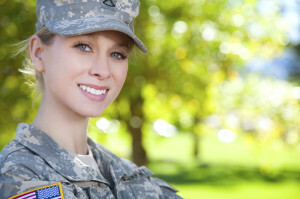 Contact a skilled military divorce attorney.